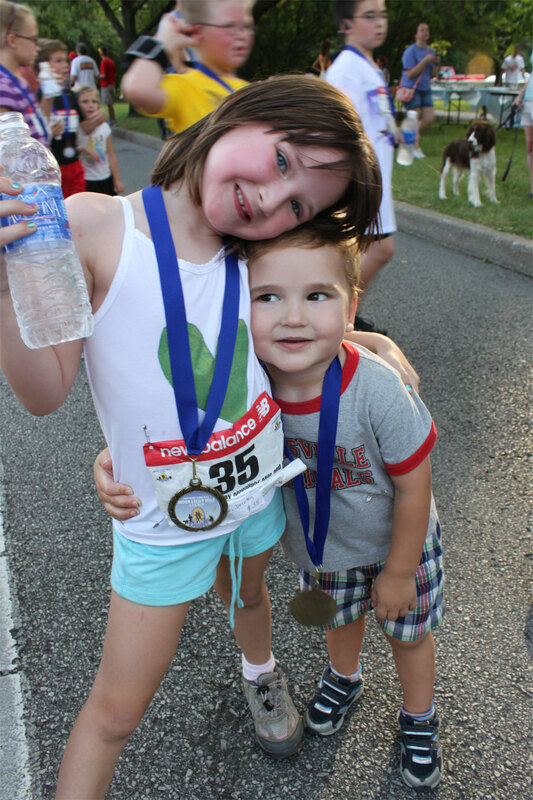 My kids participated in a neighborhood fun run a couple weekends ago. My husband was a competitive runner in high school and college, whereas the only thing that could get me running (maybe) would be someone chasing me. 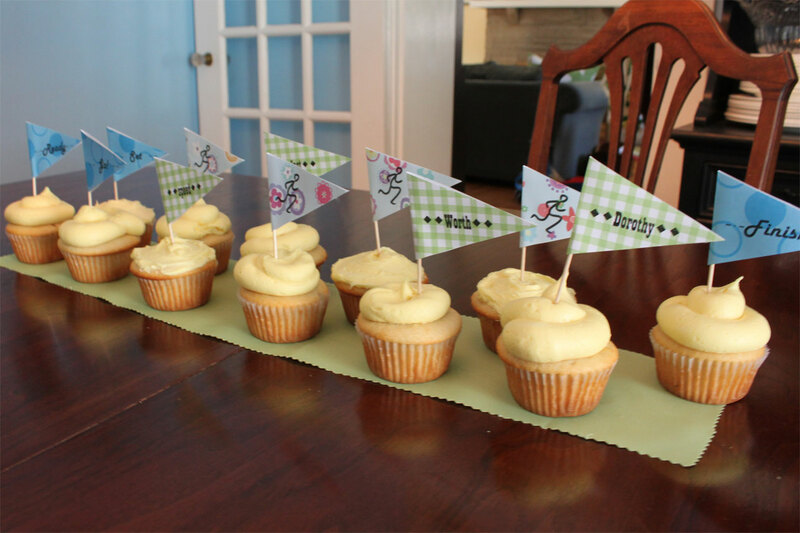 I decided to show my support for my kids following in their father’s (swift) footsteps instead of mine by throwing a little after-race party. 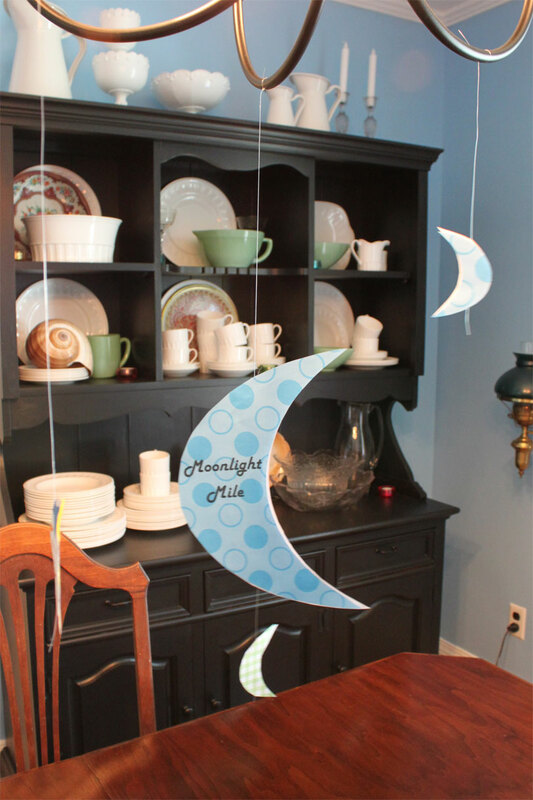 I made a paper mobile out of scrapbook paper and fishing wire with the name of the event to hang over our table. 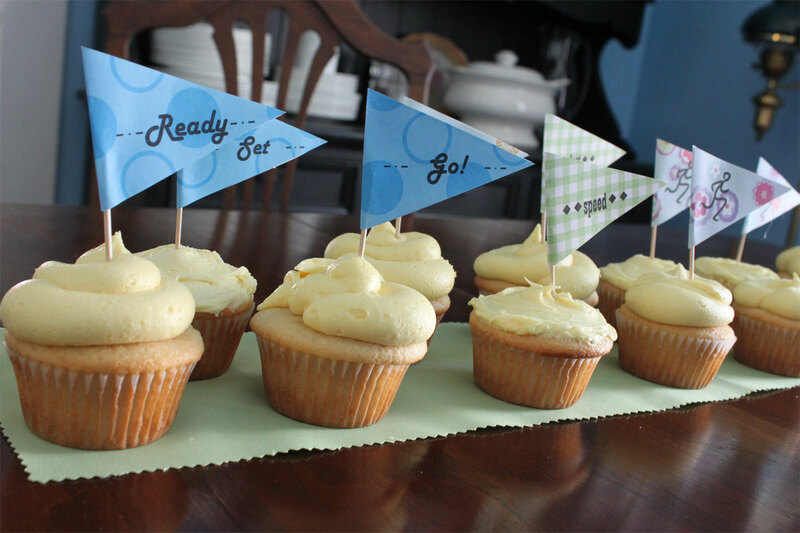 Then I made cupcakes (gluten-free and delicious from this book, since Nana was coming) with little printed flags. 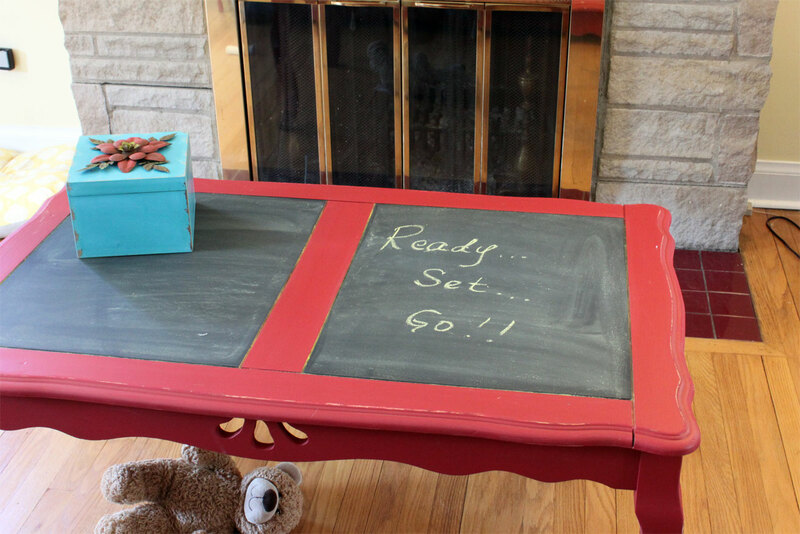 I made use of our new chalkboard table by writing a message to my little runners. Dorothy was pleased with her finish even though did not in fact “pull out ahead and beat them all” as she had intended. Her tank top was a work of her own, made with fabric paint and a freezer paper stencil. She made it especially to wear in the race. Unlike the running, she gets that from me. 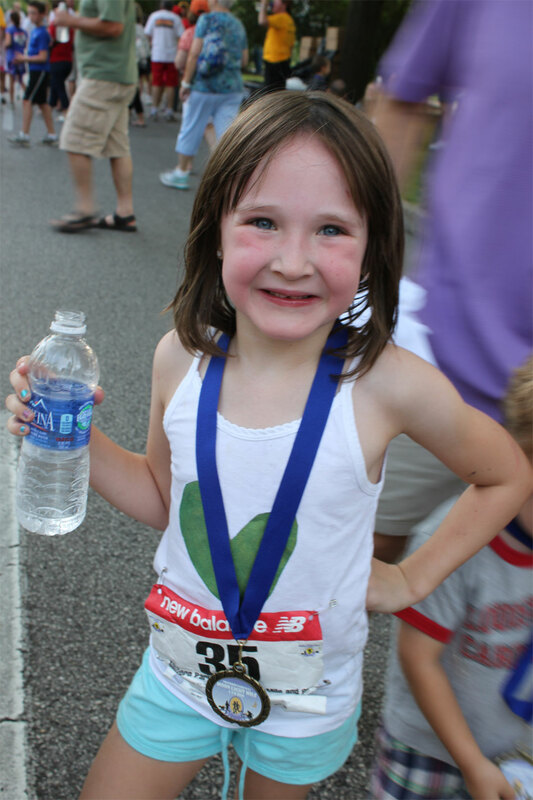 Compare her to her own self at the same race two years ago–when did she get so big? 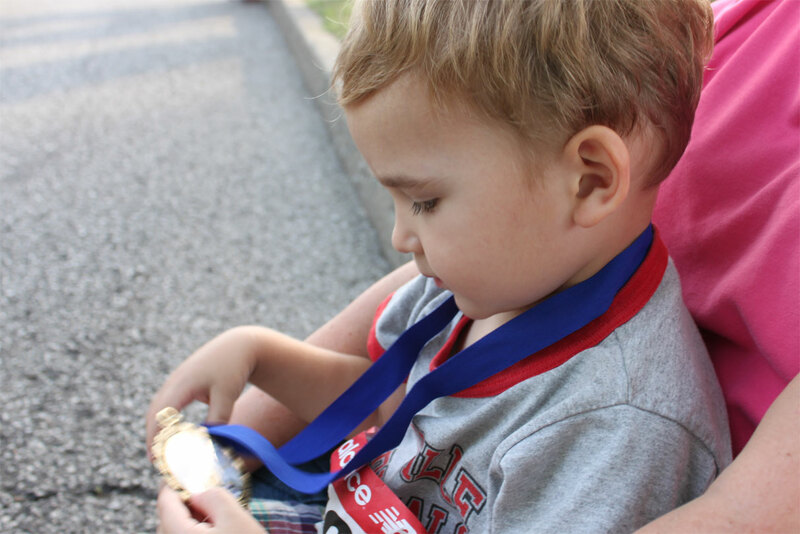 Worth might have been the youngest participant in the road race, running a quarter mile in the “under five” category. He bolted in the wrong direction when they started the race with a loud noise, but his father convinced him to follow the herd and he ended up running on his chubby little baby legs the whole distance, never losing his grip on his father’s hand. He was very pleased with his finisher medal.